Our retina is particularly rich in omega 3, coming from fish and some oils such as rapeseed oil or walnut oil. 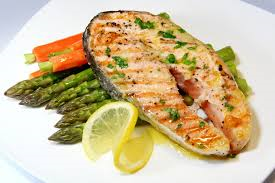 We showed that people with good omega 3 intake had a lower risk of AMD (1). It is therefore recommended to use oils rich in omega 3 and to consume fish at least twice a week, of which at least once a week fatty fish (salmon, tuna, sardines, anchovies ...), particularly rich in omega 3. In addition, several studies suggest that certain foods rich in antioxidants could play a role in the prevention of AMD. We recently reported in the Alienor study that regular olive oil consumers had a lower risk of AMD (2). The beneficial effects of olive oil could be attributed to its richness in polyphenols, believed to be antioxidant components. Antioxidants prevent oxidation reactions that lead to alterations of retinal cells. The macula is also protected against light rays by the macular pigment, which is of nutritional origin. In fact, it is formed by lutein and zeaxanthin, which are found in green vegetables (spinach, peas, broccoli, green beans, asparagus, salad ...), some orange-yellow fruits and vegetables (corn, pumpkin, oranges, clementines) and eggs. It is therefore important to regularly consume these foods to ensure good protection of the retina. In some cases, dietary supplements containing omega 3, lutein and zeaxanthin may be prescribed by your ophthalmologist. The Alienor study confirms that some genetic factors greatly increase the risk of developing AMD (3, 4). From 50 years of age, the children and grandchildren of people with AMD must therefore be regularly followed by an ophthalmologist. In addition, throughout their lives, they can follow the advice below regarding smoking, sun exposure and diet to protect their retina. The harmful effects of smoking on health are well known, with a significant increase in the risk of cancer and cardiovascular disease. Its effects on the eye are less well known, but very real. Thus, as confirmed by the study Alienor (4), the risk of AMD and cataract is greatly increased in smokers and even among former smokers for 10 to 20 years after smoking cessation. It is therefore important to avoid smoking and, for smokers, to stop smoking as soon as possible, especially if they have a parent with AMD. 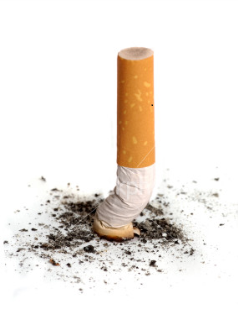 A halt before the age of 40 makes it possible to find a risk close to that of non-smokers in their fifties, the age from which AMD begin to develop. 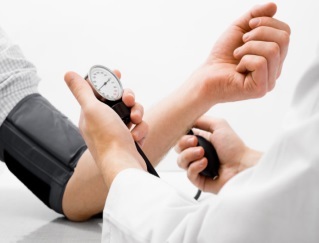 In the Alienor study, some vascular factors such as blood pressure (pulse pressure) or elevated blood lipids appear to increase the risk of AMD (5, 6). However, these preliminary results remain to be confirmed. Excessive sun exposure can promote the development of eye diseases, including cataract, and possibly AMD. The results of the Alienor study have indeed confirmed that a high lifetime exposure to UV, increases the risk of cataract, may increase the risk of AMD and may contribute to the aging of the cornea (7). Throughout life, it is therefore recommended to avoid exposing yourself between 12:00 and 16:00 in summer, and to protect yourself (sunglasses, broad-brimmed hat).